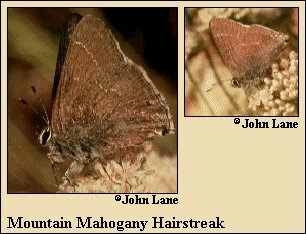 Identification: One short hindwing tail on males, long tail on female hindwing; may be missing. Upperside brown-gray. Underside is olive-gray with ashy overlay. Postmedian line white; sometimes faint or absent. 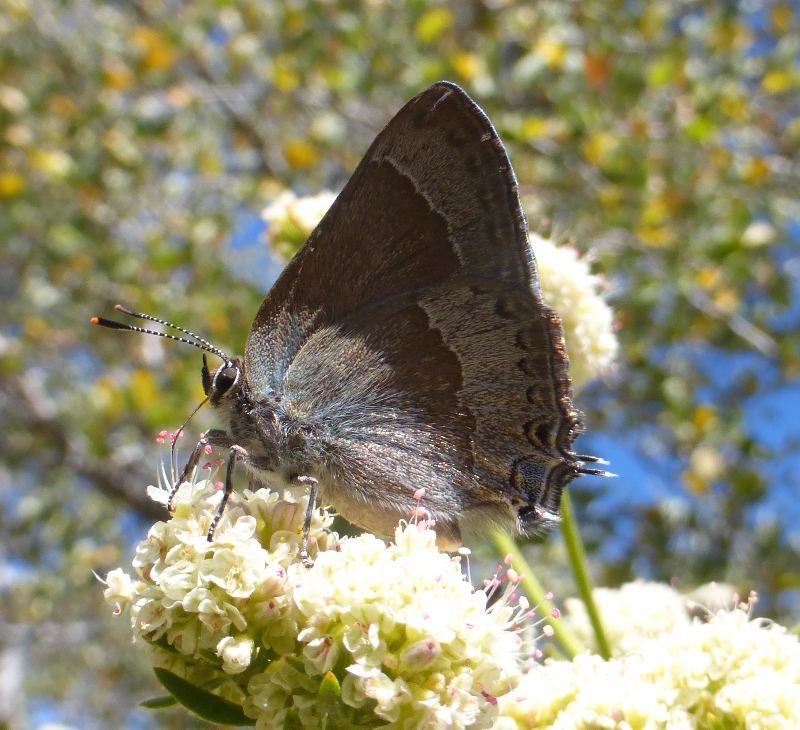 Spot near tail is gray-blue. 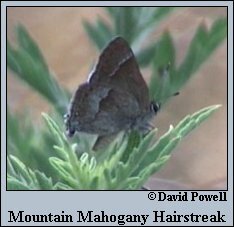 Life History: Males perch on hilltop shrubs or valley host plants to watch for females. Eggs are laid on twigs or leaves, singly or in small groups. Eggs hibernate until spring; caterpillars eat leaves. Caterpillar Hosts: Mountain-mahogany (Cercocarpus montanus) in the rose family (Rosaceae). 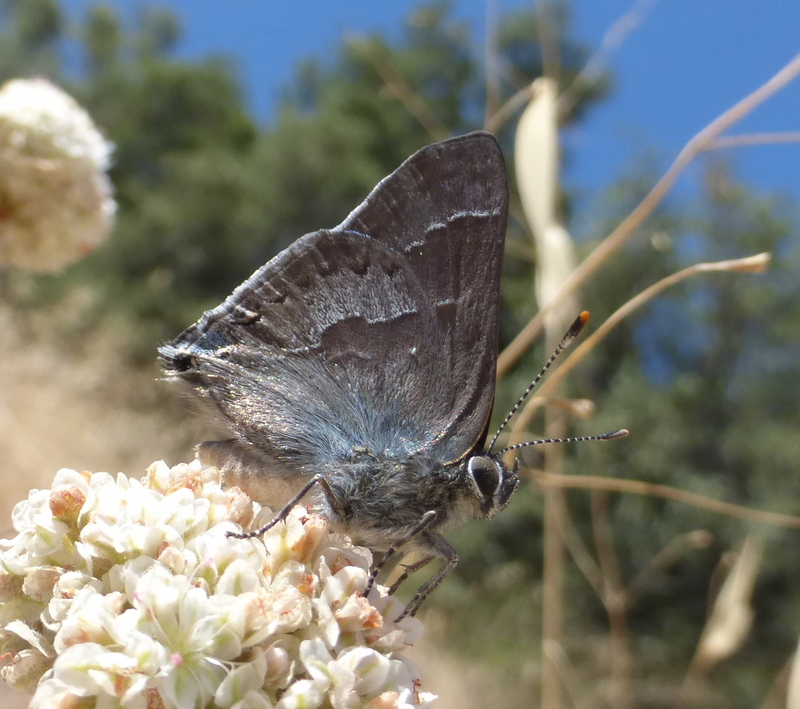 Adult Food: Nectar from wild buckwheat and others. Range: Southern Oregon and California west of the deserts through San Diego County into Baja California Norte; in the Carson Range of western Nevada.